Textron Aviation to debut new full-scale Cessna Denali mockup at EAA AirVenture 2018 - Africair, Inc. 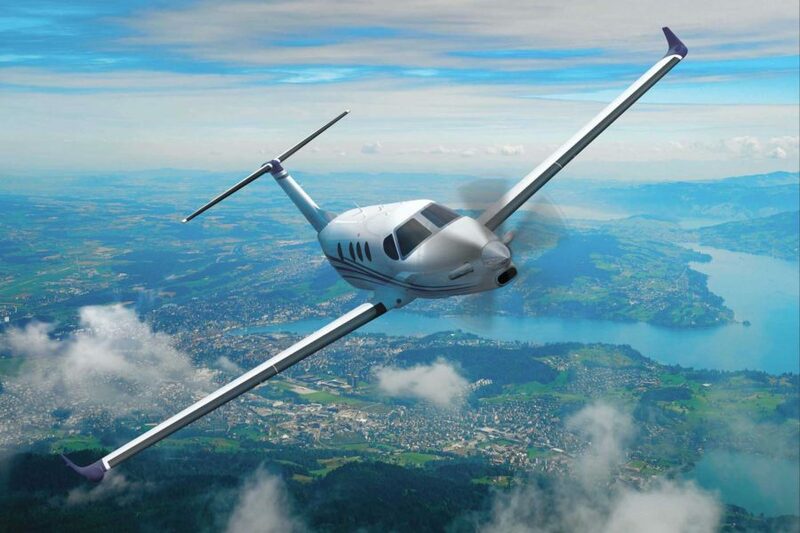 The turboprop features the widest cabin cross-section in the segment, providing passengers with additional head and shoulder room — and more room for cargo and baggage. Taking cues from design elements found in Textron Aviation’s large-cabin business jets, Denali delivers a new standard of luxury to turboprop passengers. Features such as larger seats and windows, as well as a modular refreshment center and an aft-located lavatory ensure passengers enjoy an enhanced level of comfort on board. During the show, demonstrations of the Denali’s highly adaptable cabin will highlight its abundant space and transform the cabin from an executive configuration to a combi layout – configured for both passengers and cargo. The Cessna Denali program continues to progress on schedule. The company anticipates achieving the first wing mate and completion of the prototype airframes as the program nears first flight in early 2019. Engineered to achieve cruise speeds of 285 knots and full fuel payload of 1,100 pounds, the Denali will have a range of 1,600 nautical miles at high-speed cruise with one pilot and four passengers and will be able to fly nonstop from Los Angeles to Chicago, New York to Miami or London to Moscow. 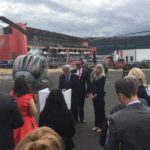 A first for aircraft in this class, the FADEC-equipped, 1,240 shaft horse-power GE Catalyst engine will ease pilot workload with its fully automated single-lever power and propeller control. Equipped with McCauley’s new 105-inch diameter composite, 5-blade, constant speed propeller, Denali’s engine features full feathering with reversible pitch and ice protection. Additionally, the engine design delivers an initial 4,000-hour time between overhaul and offers class-leading performance retention for an outstanding hot/high capability. 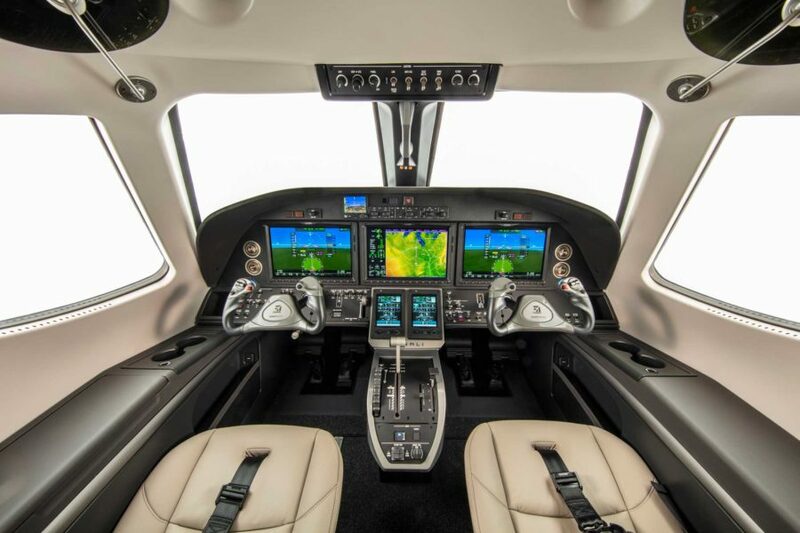 The Denali features the Garmin G3000 intuitive touchscreen avionics suite and includes three large high-resolution displays with split-screen capability. The G3000 flight deck’s solid-state weather radar, advanced Terrain Awareness Warning Systems (TAWS) and automatic dependent surveillance-broadcast (ADS-B) capabilities ensure compliance with the FAA’s NexGen air traffic control requirements. Featuring the largest flat floor cabin in its segment, Denali’s design easily converts between passenger and cargo configurations. The executive seating configuration accommodates six individual reclining seats, club-configuration tables and a refreshment unit while the commuter seating layout enables nine individual forward facing seats. 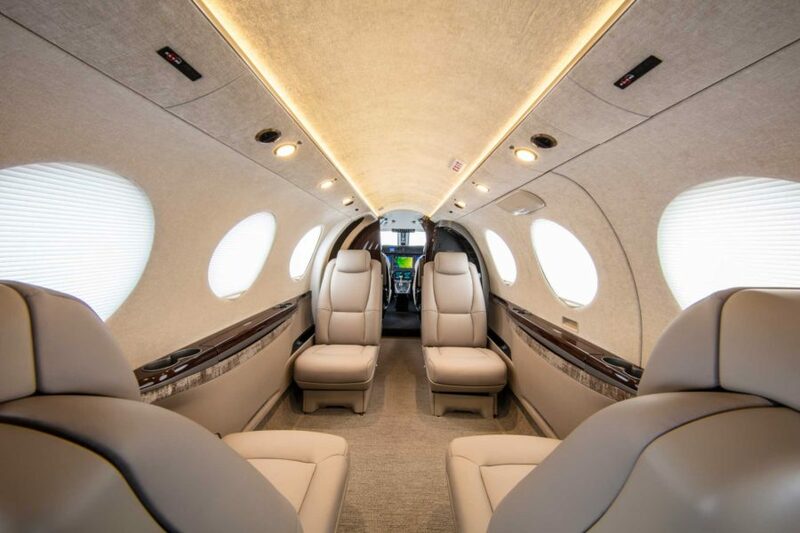 Additionally, the aircraft boasts a digital pressurization system maintaining a class-leading 6,130-foot cabin altitude at a service ceiling of 31,000 feet. Denali customers will have access to Textron Aviation’s unmatched global support network. Dedicated to complete life-cycle support, the company staffs its factory-direct service centers with expert service engineers offering maintenance, inspections, parts, repairs, avionic upgrades, equipment installations, refurbishments and other specialized services. Textron Aviation also offers a mobile support program featuring more than 60 mobile service units, a fleet of rapid-response support aircraft, and on-site service technicians and support. For more updates on the Cessna Denali, sign up for updates here: Newsletter Sign Up. For more information on the Cessna Denali, visit our webpage today: Cessna Denali Page.